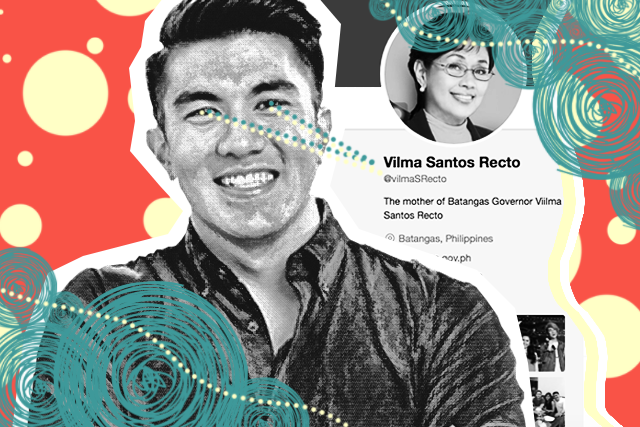 Kapamilya television host and actor Luis Manzano appealed to the public to report a fake Twitter account that has been posing as his mother, Rep. Vilma Santos-Recto (Lipa), for seven years. 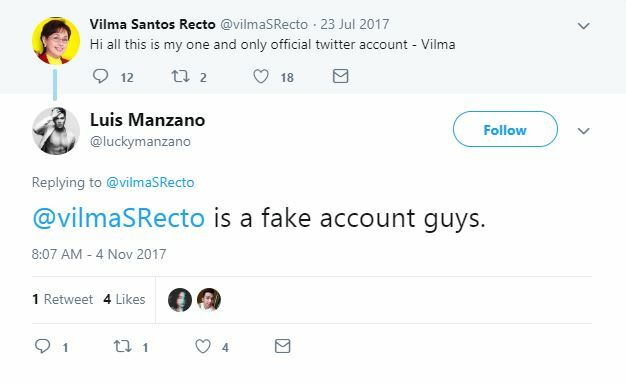 Manzano in a series of tweets called out an account with the handle of “@vilmaSRecto” and warned that it is an impostor since his mother does not have a Twitter account at all. 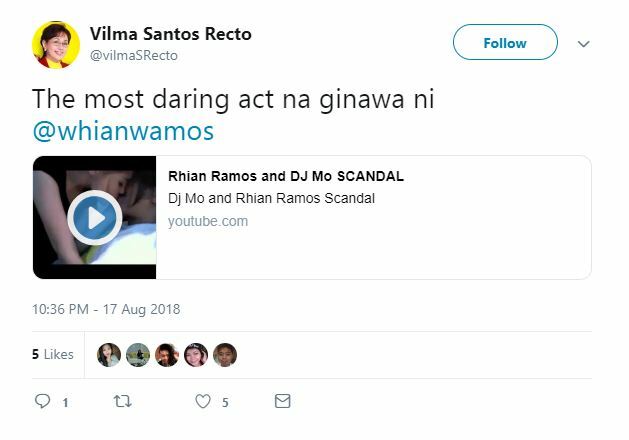 This was confirmed by Santos-Recto herself in an interview last year. 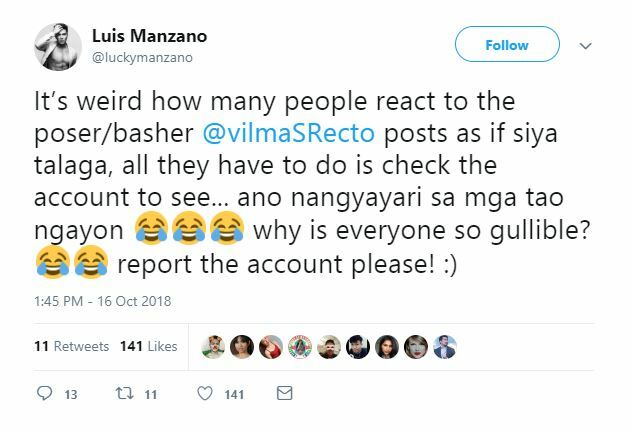 “I don’t have a Twitter account, kindly help us report the handle @vilmaSRecto in Twitter. Let us not tolerate fake news,” she said before. Manzano noted how much the account has been fooling everyone and reminded social media users to be vigilant. 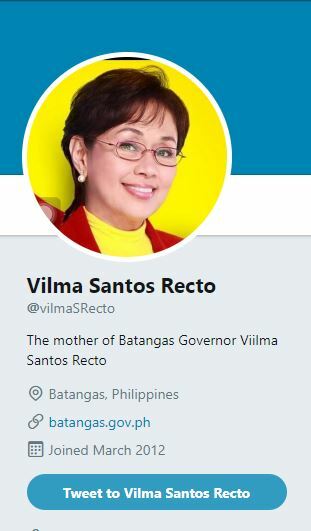 The fake account posing as the Lipa representative was created in March 2012, with the user describing itself as “The mother of Batangas Governor Vilma Santos Recto.” It also maliciously links itself to the official webpage of Batangas. It could be noted that the account misspelled the name of the congresswoman in its user profile description, apart from it having no punctuation marks. As of this writing, the account has 5,799 followers, including the official Twitter account of the Cultural Center of the Philippines. 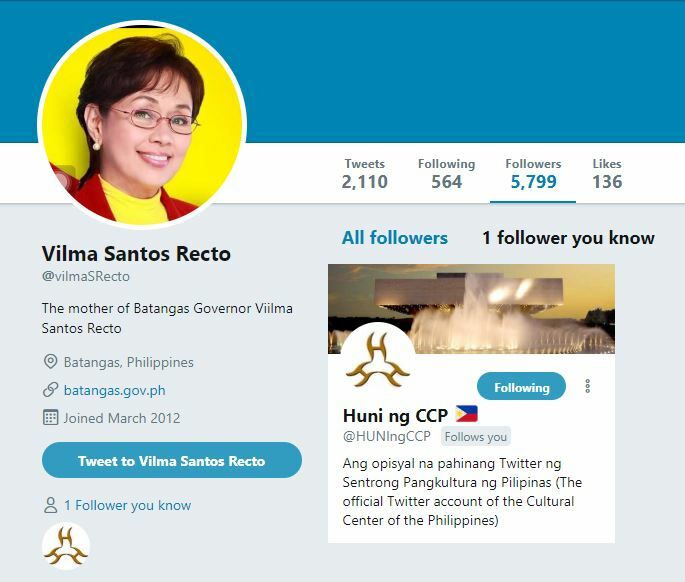 Some observant users have noted that the account posts malicious tweets which are uncharacteristic of Santos-Recto. 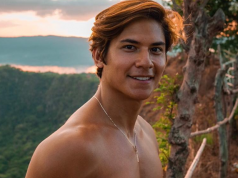 The account also spread rumors of Jessy Mendiola and Luis Manzano being engaged before. The issue has since been talked about in the entertainment industry. 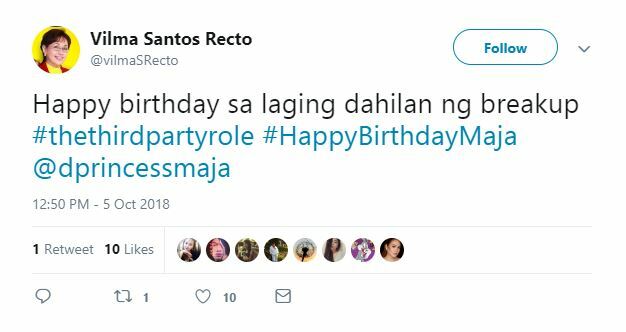 Santos-Recto opened up about the rumored engagement last August and said that it’s up to the couple to officially announce it. “Hindi naman ako puwedeng mauna. Sila dapat ang mag-announce, hindi ako. Hayaan n’yo na muna kung kailan nila planong mag-announce, maybe this year, maybe next year. Bahala na sila magsalita,” she said. 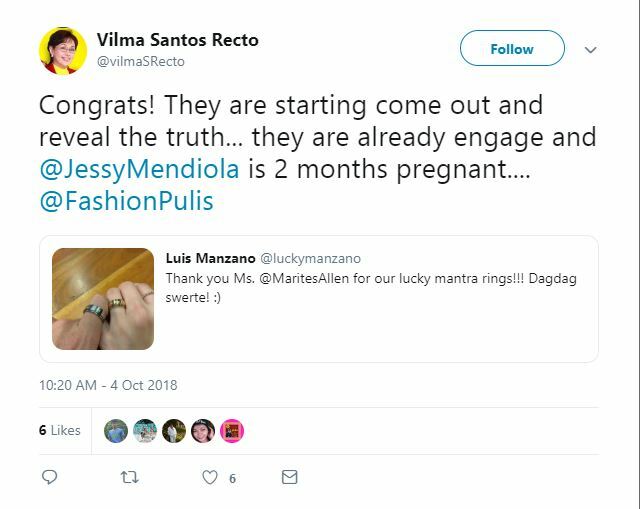 The account also claimed that Mendiola is already “two months pregnant” three weeks ago. 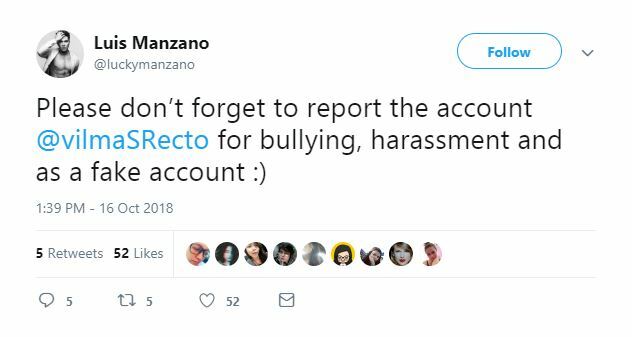 Manzano shrugged off the rumors and said that he has previously reported the account that has long been spreading false rumors. As of this writing, the account is still active on Twitter. The microblogging platform considers impersonation a violation of its policies.